SMT Troubleshooting (SMT / SMD Problem and Solution) – SMT is NOT ZERO-Defect soldering process. Problems will Occur, but Solutions are there. SMT (Surface Mount Technology), like other SMD Soldering and PCB assembly technology is not ZERO-Defect soldering process. There will always be some or the other defect in any Electronics PCB assembly in both Thru-Hole and SMT. Here I will discuss some of the most common faults and causes of SMT defects and possible solution and troubleshooting. Solder Paste smearing on underside of stencil. Is stencil underside cleaned with a solvent and is solvent still present after cleaning? Is stencil proper aligned with PCB? Did paste spend a long time in a hot area? Was old paste returned to jar? Was jar put back into refrigeration after opening? Is alloy sensitive to oxidation? Run fresh paste from a different lot under same conditions and see if solder bars go away. What is specified tack time of paste? Capillary action draws unreflowed paste away from pad to somewhere under the component, it reflows there and form a bead of solder which comes out from under the component side. Solution: Run a more rapid ramp up profile of 1.5 Degree Celsius to 2.5 Degree Celsius per second. Dispense time for a dot? Is stencil properly aligned with PCB? Is paste flowing apart after printing, height of deposit reduces and surface increases. Was solder mask printed on pad? Possible cause: Unequal placement of components on pads prior to Reflow results in unbalanced solder forces. Solution: Check if placement equipment places properly. Possible cause: Unequal heat sink i.e. ground planes inside PCB layers may draw heat away from pad. Solution: Increase soak time (plateau) or reflow profile so that all components are on. Solution: Check reflow profile, make sure peak temperature and time above liquids (183C) are high enough and soak (plateau) is long enough. Solution: Use different type of paste with higher viscosity or higher metal content. Unwanted material on surface which prevents solder from attaching to surface, i.e. solder mask, fingerprints or oxides. I hope you found this guide and tutorial very useful. 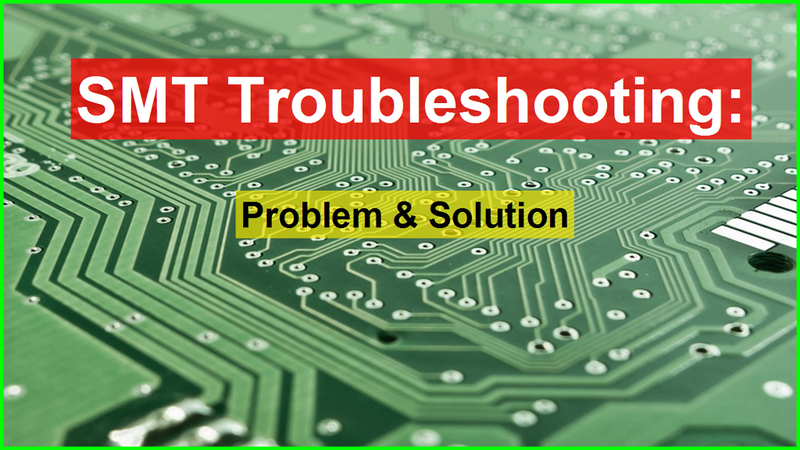 Please share this article with other so that other can also benefit and do SMT Troubleshooting. There are a variety of faults which present in SMT. 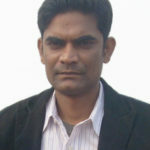 In this blog I found exclusive solutions for defected SMT. This blog really helps me to overcome the SMT problems.